We all know how to reboot our computers from the Start menu 6 Ways to Hack & Customize the Windows 10 Start Menu 6 Ways to Hack & Customize the Windows 10 Start Menu The Windows 10 Start Menu combines classic elements with modern tiles. Tiles can add a lot of creative freedom. We'll give you tips and reveal tricks for customizing the entire Start Menu to your preferences. Read More , but that’s just the tip of the iceberg. There are loads of other methods you can use for a reboot, many offering much more convenience and control. You can, for example, specify a time period until your system reboots and you can even set it up to do so at a specific point every day. These are tips you may have never thought about, but could find yourself using all the time, especially when rebooting solves many problems Why Does Rebooting Your Computer Fix So Many Issues? Why Does Rebooting Your Computer Fix So Many Issues? "Have you tried rebooting?" It's technical advice that gets thrown around a lot, but there's a reason: it works. Not just for PCs, but a wide range of devices. We explain why. Read More . Be sure to visit the comment section afterwards to let us know if you’ve ever tried any of these or if you have your own top advice to share. That command is telling the system to restart (-r), to do so instantly, without any time delay (t 00), and also to force the closure of applications without asking the user. Click Next, give your shortcut a name and then click Finish. Your restart icon is now good to go, but if you want to make it look a bit prettier then right click the icon, select Properties, ensure you’re on the Shortcut tab and then click Change Icon…. Here you can pick from the default system icons or browse your computer for a custom one. 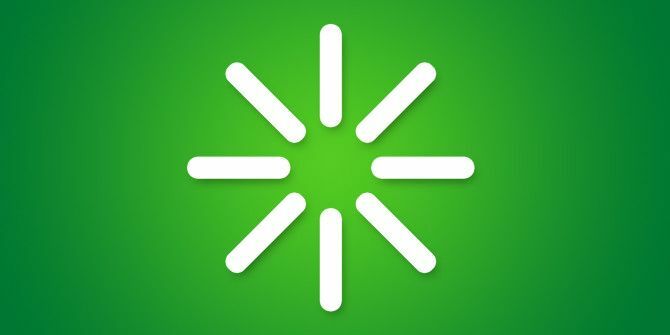 Don’t forget that you don’t have to keep this icon only on your desktop. You can also drag it onto your Taskbar or Quick Launch Bar 7 Useful Toolbars You Can Add To Your Windows Taskbar 7 Useful Toolbars You Can Add To Your Windows Taskbar The Windows desktop can be a super productive work space. Native toolbars can help you make it even more efficient by placing shortcuts and information at your fingertips. Let's have a closer look. Read More , making it a permanent and quickly accessible one-click solution to restarting your system. Accessing the BIOS How to Enter the BIOS on Your Computer How to Enter the BIOS on Your Computer To get into the BIOS, you usually press a specific key at the right time. Here's how to enter the BIOS on Windows 10. 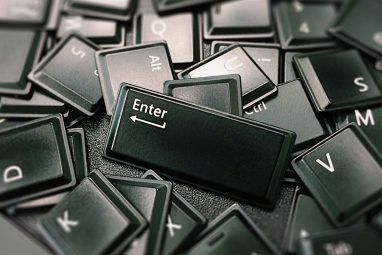 Read More used to mean rebooting your computer and then tapping a key (usually F2 or Delete) in order to access it. With Windows 8, however, that process has been made much simpler, allowing users to reboot directly into the BIOS. This is because those systems that use SSDs will have blazing fast boot up speeds, giving very limited time to tap a key to access the BIOS. Press CTRL + L to open the Settings charm and then click Power. You now need to hold Shift while clicking Restart for your system to reboot straight to the BIOS. It’s simple and forgoes the frustration of fighting a quick start-up to get into the BIOS. For more information on this tip, along with an additional method to achieve it, be sure to check out our guide on accessing the BIOS on Windows 8 How to Access the BIOS on a Windows 8 Computer How to Access the BIOS on a Windows 8 Computer Windows 8 simplified access to the BIOS. You don't have to remember a key combination, you can just use the Windows 8 boot options menu. We'll show you how. Read More . You can use the Task Scheduler 4 Boring Tasks You Can Automate With the Windows Task Scheduler 4 Boring Tasks You Can Automate With the Windows Task Scheduler Your time is too valuable to be wasted with repetitive tasks. Let us show you how to automate and schedule tasks. We have a few great examples, too. Read More to set your system to restart at specific times. Firstly, do a system search for task scheduler and select the relevant result. Select Create Task… from the right-hand side navigation and a new window will open. Secondly, give your task a Name and then tick the box for Run with the highest privileges. Now switch to the Triggers tab and click New…. From here, select how often you want your system to restart and use the advanced settings if you want to do things like expire the task. Click OK.
Now switch to the Actions tab and click New…. For Program/script input shutdown.exe and for Add arguments (optional) input /r /f and then click OK. Finally, switch to the Conditions tab where you can specify if you want the task to begin dependant on the idle, power, and network state of your system. When you’re good to go, click OK to create your task and your system will now reboot automatically according to your specifications. If you operate a local network Everything You Need to Know About Home Networking Everything You Need to Know About Home Networking Setting up a home network is not as hard as you think it is. Read More of computers then you might want to restart some of them remotely. First, you’ll need to enable this functionality on each computer within your network. To do so, perform a system search for Services and select the relevant result. From the window that opens, find Remote Registry on the main list, right click it and select Properties. By default, the Startup type will be set to Manual, but we want to change this to Automatic. Click OK.
Now perform a system search for allow program and select the relevant result to load a window that will let you specify which programs and features should communicate through the firewall. Click Change settings if necessary, scroll down to Windows Management Instrumentation (WMI), tick the box to enable it on your private network, and then click OK.
With that setup complete, system search for cmd and load it up. Type shutdown /i and hit return to bring up the graphical interface for remote shutdown. Click Add…, type the name of the computers you want to restart, and then click OK. Finally, ensure you’ve selected Restart from the drop down and then choose from the other options as you wish. For example, you can display a message on the other computers to warn of the impending restart. When ready, click OK to carry out the procedure. Please ensure that you have administrator access across all of your systems before carrying this out, otherwise you’ll find the operation won’t run due to improper permissions. Using the Command Prompt 7 Common Tasks The Windows Command Prompt Makes Quick & Easy 7 Common Tasks The Windows Command Prompt Makes Quick & Easy Don't let the command prompt intimidate you. It's simpler and more useful than you expect. You might be surprised by what you can accomplish with just a few keystrokes. Read More is a great way to reboot your computer by using a combination of options. Do a system search for cmd and launch it. Input shutdown and press return to get a list of all the commands that you can use and combine together for efficiency. For example, if you wanted to force a restart with a time delay of 30 seconds, you’d type shutdown /r /f /t 30 and press return. Your command will only remain active for that current session. If, for example, you set a restart delay of 100 seconds and then manually restarted, that command would be removed. If you’re just after a simple restart then the Command Prompt is less useful, but it’s great if you need a quick way of combining different parameters. If you’re not comfortable with some of the tips above, you can also use third-party programs to achieve similar things. One great option is iReboot, a tiny program that will sit in your Taskbar and let you reboot with ease. If you have multiple operating systems installed, the main draw here is that it’ll let you boot into them from the menu without having to manually select it in the BIOS. Other programs like Shutdown Timer (our Shutdown Timer review Automatically Turn Off Your Computer With Shutdown Timer [Windows] Automatically Turn Off Your Computer With Shutdown Timer [Windows] Read More ) are also appealing, offering a simple graphical interface to help you restart on a schedule, or Sleep Timer (our Sleep Timer review Sleep Timer: Automatically Shut Down Or Restart Your Computer When You Need It To Sleep Timer: Automatically Shut Down Or Restart Your Computer When You Need It To Read More ) that is tiny and can be run from a flash device for your convenience. However, it really is worth mastering the methods above before turning these latter third-party tools, simply because their functions can be achieved within the default operating system. Who knew restarting your computer could have so many different options? You can use shortcuts, the Command Prompt, third-party tools, and more to become a pro at restarting. However, if you’re less keen on restarting, check out our guide on disabling forced reboots How to Disable Forced Restarts After a Windows Update How to Disable Forced Restarts After a Windows Update Are you tired of Windows hassling you to reboot your computer after updates were installed? Miss a pop-up and it reboots automatically. Stop this madness and reboot at your leisure. Read More . 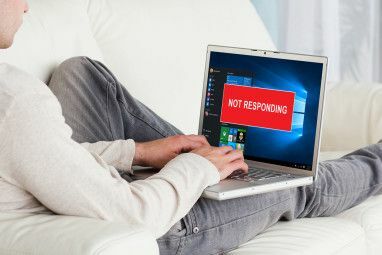 In conjunction with this guide, you’ll be sure to have the ultimate control over when and how your system reboots 10 Clever Ways To Optimize The Windows Shutdown Process 10 Clever Ways To Optimize The Windows Shutdown Process Are Windows shutdowns an ordeal? Time to crack down on this process and save time. Most solutions are super simple and only take a few seconds, promised! Read More . Have you ever used any of these tips before? Do you have your own rebooting methods to share? Explore more about: BIOS, Keyboard Shortcuts. The New Microsoft Edge Insider Channels: All You Need to KnowShould You Upgrade to Windows 10? One other way to shutdown - A single touch of the power button. 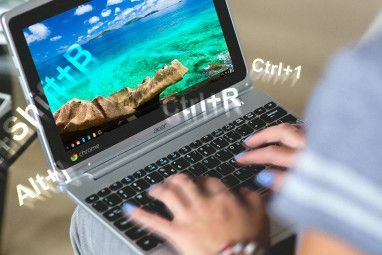 The power button tap shutdown may sometimes work even when things are a little messed up, and can also be used to shutdown "blind" if the monitor is not working. This is the default option, it can also be set to sleep, hibernate or disabled. To actually force power off (when things are really beyond rescue), HOLD the power button for about 4 seconds - until it cuts off. This is probably cleaner than just pulling the plug, unless the system is on fire. First, a note, restarting is something all devices (including smartphones) benefit from and you should get in the habit of doing regularly. There's a reason tech support calls start with "turn off your computer". Second, "t 00" is quick but dangerous, especially with Task Scheduler or shortcuts. Give yourself some time to reconsider and create a desktop shortcut with "shutdown -a" which aborts a shutdown command.